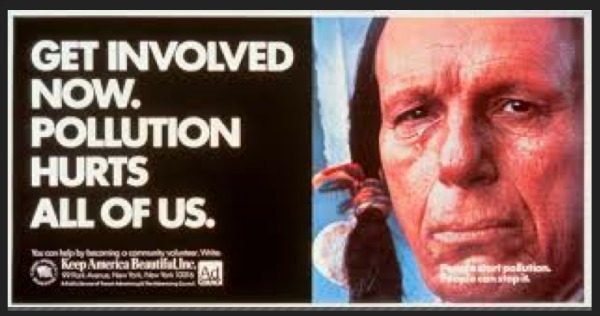 Remember the PSA commercial with the crying Indian? Or the ad that said, “This is your brain on drugs“? How many kids felt overwhelmed by Smokey the bear telling them, “Only YOU can prevent forest fires.“? These are examples of successful ad campaigns that significantly impacted public opinion on the topics of littering, drug abuse and wild fires. Leaders and communicators attempting to change the thinking of people, can learn from these effective PSAs that learning is a campaign. To often communicators think of learning as a single lesson or speech. While history is full of famous speeches, the truth is those immortalized speeches were part of a larger campaign. Before the “Sermon on the Mount” Jesus traveled throughout all of Galilee and Syria. Lincoln’s “Gettysburg Address” came after four years of civil war. “I Have a Dream” was preceded by the March on Selma and “Letters from a Birmingham Jail” plus dozens of rallies. Effective campaigns learn through bottom-up and not just top-down. This week Twitter (TWTR) went public and the price of Twitter shares took flight from the opening price of $26 to a closing price of $45. Prior to going public analysts wondered if the IPO would take off or sink like Facebook. Turns out the reason Twitter took off is because of a learning campaign. Alistar Barr of USA Today reports that unlike Facebook, “Twitter executives…went on an extended road show, making themselves available to more investors, listening to questions and trying to answer them seriously.” This learning campaign led Twitter to set their opening price closer to what investors wanted and not what analysts recommended. That decision proved to be a huge success on opening day. Twitter went on the road not just to educate investors but to get educated by investors. 1. You answer questions no one is asking. 2. You inspire disruptive questions no one thought to ask. Learn what you need to learn so you can narrow the scope on what others need to learn. Effective campaigns improve learning by focusing on progress not compliance. I find that leaders who often give speeches on how things should be but don’t really know the way things are, tend to educate around compliance not progress. My wife worked in an elementary school where every staff meeting the principal gave a lecture on compliance with state guidelines. When the meeting was over the faculty would roll their eyes and go on doing what they had always done in their classrooms. If the principal visited the classroom the teachers would “appear” to be following the guidelines. Once the principal left, class returned to what the teachers felt worked whether or not if fit with the state guidelines. The problem was not are the state guidelines appropriate. The problem was leadership’s focus on compliance rather than progress. At the end of the day, good teachers want students who are making progress, not a certificate of compliance. The school leadership could have better educated teachers about the use of the state guidelines if they had included the teachers in a conversation around how the guidelines could be achieved, rather than lecturing about compliance. This would have given leadership the opportunity to celebrate the progress already being made in ways that ultimately would achieve the outcomes of the guidelines. We expect our politicians share their views and to learn from voters on the campaign trail. Similarly, leaders and communicators of all types should view learning as a campaign.